Are you a self confessed Potterhead? Well there’s a definite magical treat in store for fans living in, or visiting Gyeongsang City, North Gyeongsang Province. 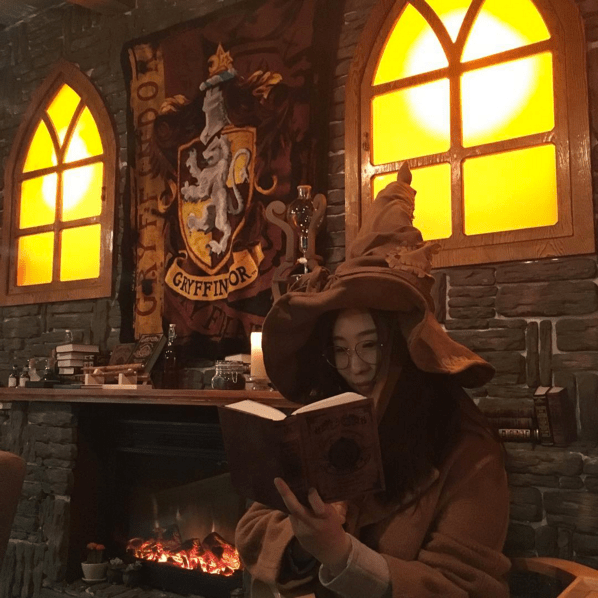 Themed cafes are popular in South Korea, writer Giacomo Lee shared fantastic photo sets of both a Sherlock and Doctor Who themed cafe, so it’s maybe surprising a Harry Potter themed one hasn’t popped up sooner. 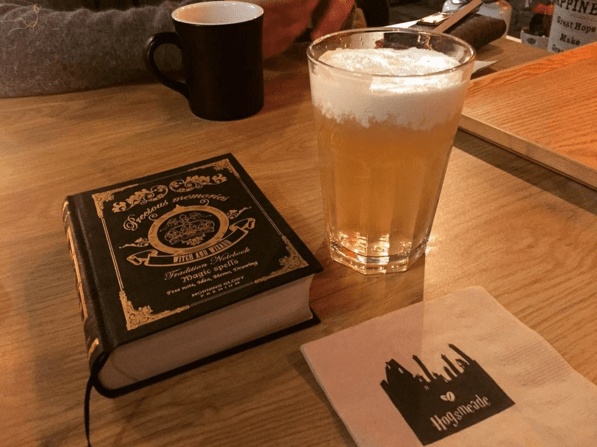 Named after the Wizarding village just outside of Hogwarts School of Witchcraft and Wizardry, Hogsmeade, Gyeongsang City’s newest coffee shop is just two months old, and looks to be just as impressive as some of the Warner Bros film sets. There are already plenty of great photos across Twitter and Instagram from patrons who are as impressed by the interior as we are. Inside you can find house robes for each of the four Hogwarts houses, broomsticks, copies of the Daily Prophet, and potions galore. You can grab yourself a Butterbeer, and a chocolate frog, take a seat and lose yourself in a spell book for a little while. Hogsmeade definitely seems just as welcoming as Madam Rosmerta’s Three Broomsticks! We’re unsure if this Korean cafe is approved by Warner Bros, or Rowling, but hopefully that won’t cause any problems for these Potterheads! This isn’t the only recent Harry Potter action in South Korea, though. Back in December a group of Harry Potter fans set up their own themed cosplay pop-up cafe event. 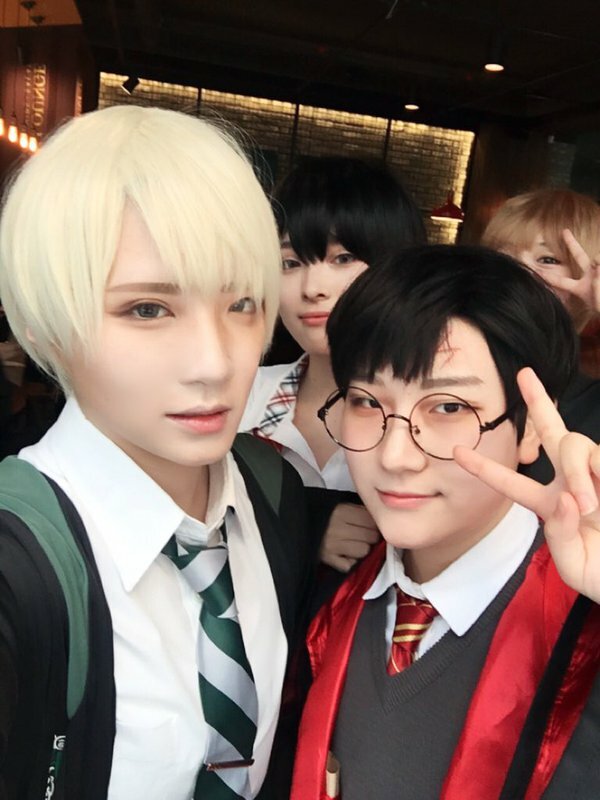 Plenty of fans turned up to Hogwartea, dressed as their favourite character, or just Hogwarts students, and it looks like they had plenty of fun with fellow fandom members.